Visitors to UWA need to ensure that their home institution is part of the eduroam federation and that institution has given them the required privileges. eduroam is a registered trademark of TERENA. UWA is independent of TERENA. You can watch the video published by AARnet explaining eduroam. 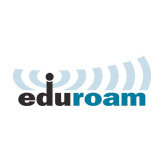 eduroam, or education roaming, allows staff and students from participating universities to access the local institution's wireless network access and the internet using their standard username and password just as they do at their home institution. A wireless-enabled device, such as a laptop computer or a smart phone, is required. eduroam allows UWA staff and students, when visiting participating institutions worldwide, to use their UWA Pheme credentials to access the internet and connect to resources at UWA. eduroam does not function for UWA staff and students while they are physically located on a UWA campus. Staff and students visiting from participating institutions are able to connect via UWA's wireless network to the internet using their credentials from their home institution, without needing to obtain a UWA account. eduroam is available over most of the campus at cafes and library learning spaces. The use of eduroam on campus, and all other computer systems, is governed by the Australian eduroam Policy along with the Computer and Software Use Regulations of the University of Western Australia. eduroam is available only to people over 18 years of age, or who have acquired parental consent to use the University's internet connection.